RØDE is proud to announce the i-XY, a stereo microphone for iPhone and iPad with 30-pin connector that allows high quality recording at sampling rates up to 24-bit/96kHz, the only microphone on the market to do so. Appearing at the International CES (Consumer Electronics Show) in Las Vegas for the first time, the company has unveiled the innovative device to an expected audience of over 150,000 visitors. At the heart of the i-XY is a matched pair of ½” cardioid condenser capsules, fixed in a perfect 90 degree ‘near-coincident’ alignment resulting in immersive and true-to-life stereo recordings, captured in incredibly high detail. The i-XY uses its own high-fidelity analogue to digital conversion ensuring all recordings are rich, smooth and accurate. The i-XY’s small form factor and incredibly detailed performance makes it the perfect microphone for recording live music, meetings, lectures, reporting, dictation and sound design, and also is ideal for use on-camera as a dual-system recorder for DSLR. A foam windshield is provided for outdoor recordings, as well as a rugged zip pocket to ensure the mic is always around when you need it. 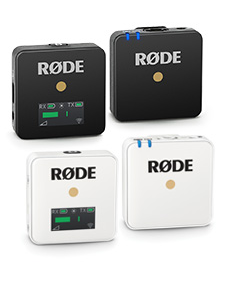 Released in conjunction with the i-XY is RØDE Rec, an app for iPhone, iPad and iPod touch designed to be the ultimate companion to RØDE’s new microphone. 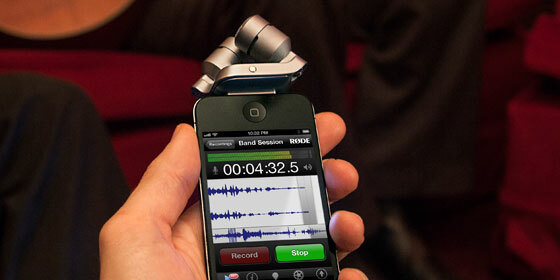 When used together the i-XY and RØDE Rec transform an iOS device into a fully featured field recorder. RØDE Rec allows for complete control of the i-XY’s continuously adjustable input levels for recording in loud and quiet environments, as well as the high pass filter to cut out low frequency rumbling such as air conditioning or outdoor traffic noises. The RØDE Rec App is available for purchase from the App Store on iPhone, iPad and iPod touch or at www.itunes.com/appstore. The app provides a full suite of features including multiple sampling rates up to 96kHz, equalization effects (compressor/expander, high-pass filter, low pass filter, parametric EQ), non-linear editing, geo and photo tagging, and one-touch publishing to SoundCloud, Dropbox, email, FTP and iTunes. 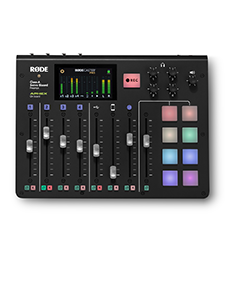 RØDE has also announced a feature-limited free version of the app, simply titled RØDE Rec LE. 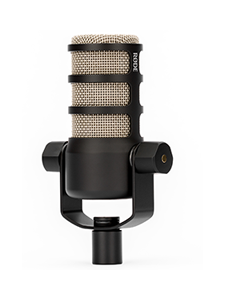 The RØDE i-XY is shipping this month. Visit ixymic.com for more information.